Therefore, missiles from the C802 family have been supplied to the Houthi rebels. The most likely sources in Iran. Iran may see the supply of the missile as low risk because of the ambiguity created by Yemen’s previous operation of C801. The C802 is the same missile believed to have been used by Hezbollah during the attack on INS Hanit in 2006. On that occasion the target had a lucky escape although there were casualties. However, Iran may now see the supply of anti-ship missiles (C802 or similar) as an effective strategy to maximize the impact of its foreign policy. Although arguably not a military target, the attack points to possible failings in intelligence and OPSEC which resulted in a major military blunder. Swift is a modified civilian type catamaran hulled fast ferry designed by Incat in Australia. She features wave-piercing bows and has a lightweight aluminum hull. She was built for the US Military Sealift Command (MSC) and entered service on a lease basis in 2003. Her contract expired in 2013 and she was subsequently leased to the UAE’s National Marine Dredging Company who used her to transport aid and supplies in and out of Yemen. 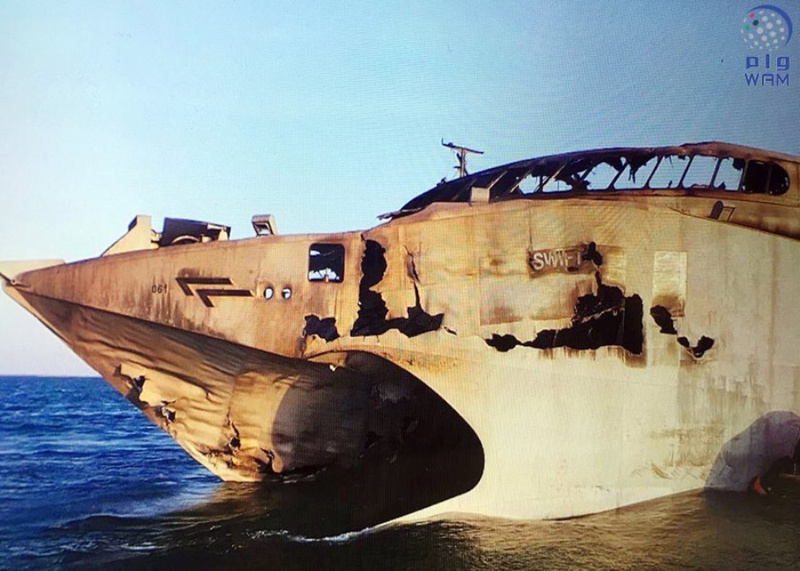 The rebels filmed the impact from a small boat trailing the Swift. The boat continued filming as it passed very close and crossed the bow of the stationary Swift. 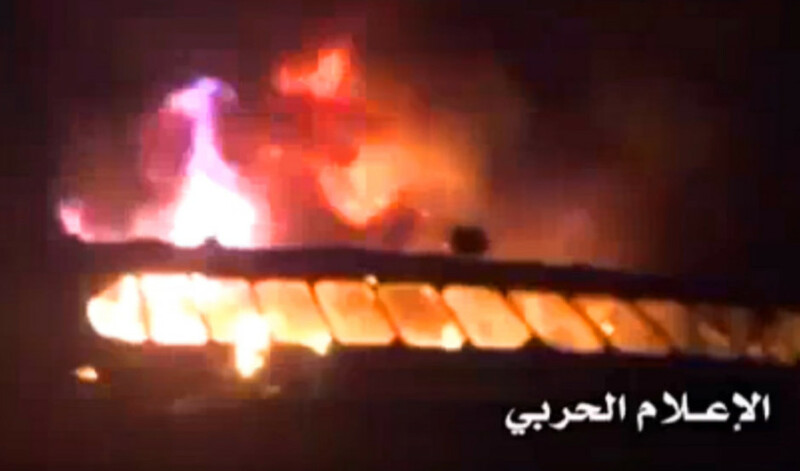 The bow and bridge were engulfed in flames. Want to know EVERYTHING about Special Forces submarines? 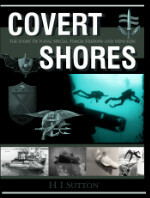 Covert Shores 2nd Edition. A world history of naval Special Forces, their missions and their specialist vehicles. SEALs, SBS, COMSUBIN, Sh-13, Spetsnaz, Kampfschwimmers, Commando Hubert, 4RR and many more. 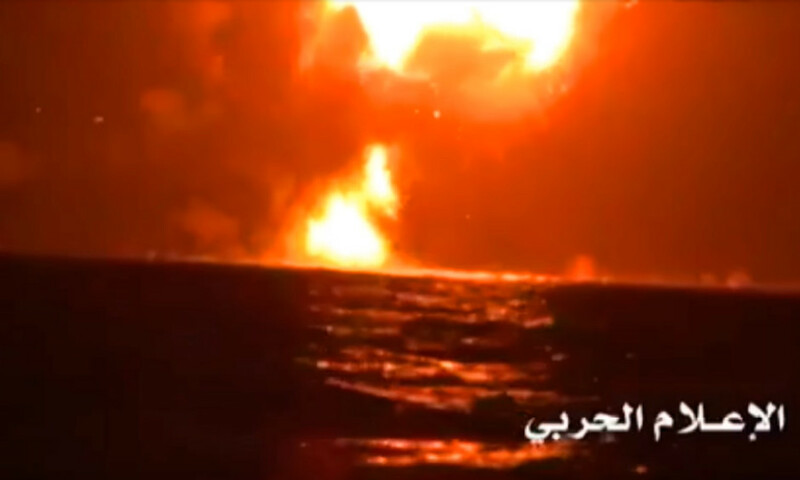 This footage, which was presented as the missile launch against the Swift, has actually been released before in October 2015 when the Houthi’s also claimed to have attacked and sunk a Saudi-led coalition ship. In that instance they do not appear to have hit anything. However, it is reasonable to think that the latest attack is part of the same chain of events and that this ‘stock footage’ of a Houthi missile launch is representative of the weapon used in the attack on the Swift. 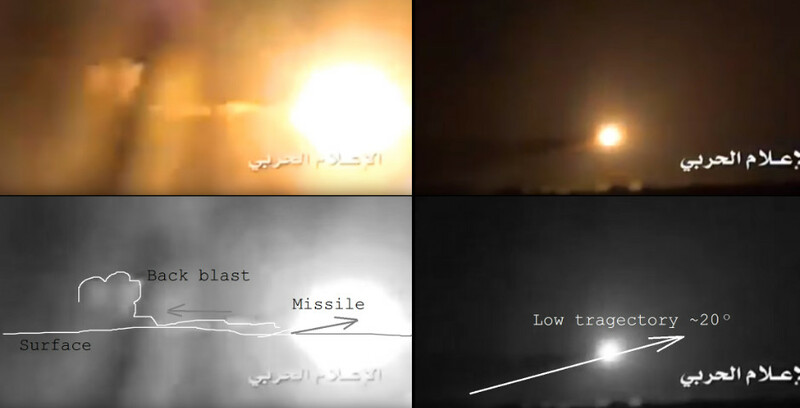 The launch angle, booster burn time (see https://www.youtube.com/watch?v=S5FHfz0NueE) and missile lifting slightly after booster separation seen in the rebel video are all consistent with the C802 Noor missile. The C802 is a Chinese designed export anti-ship missile based similar to the YJ-8 series of missiles. It has been further developed and produced in large numbers in Iran as the Noor. This family is analogous to Exocet and Harpoon, and carries a 155kg high explosive warhead at high subsonic speeds. Maximum range is 100km (54nm) but more crucially, minimum range is 10km (5nm). This effectively precludes the small boat following the Swift as the launch platform. It can be launched from fast boats (larger than ~15m (~50ft) in length), but more likely from a truck onshore. The Noor is typically guided by a search radar mounted on the launch platform before switching to its own active radar homing in the terminal phase of the attack. For longer range shots beyond the range of the launch platform's radar, it requires off-platform information and mid-course guidance. This mode is inherently more complicated and is considered unlikely in this case. The launch footage (from a previous occasion) suggests the turbojet powered C802 although others suggest it is a C801. I would expect the C801's second (sustainer) phase motor to burn brighter and for longer than in the video. The C801s were supplied in 1995 so would be over 20 years old now. Solid propellants degrade over time and the C801s are likely passed their use-by date. 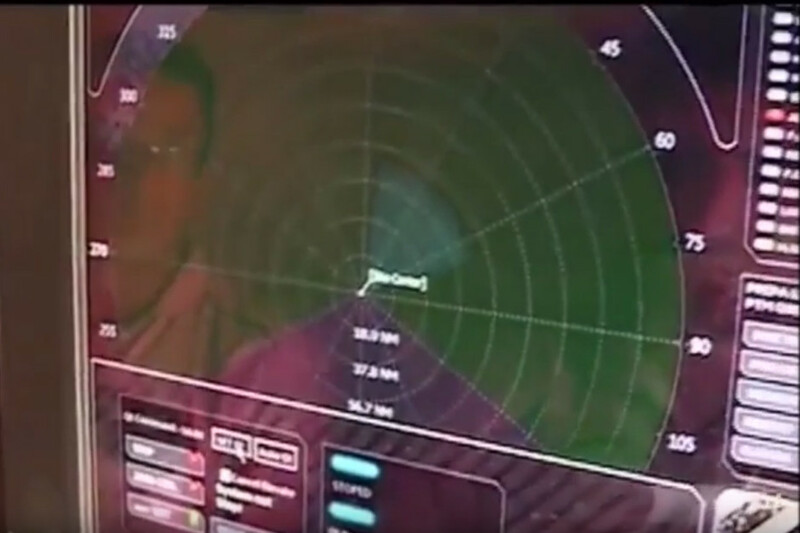 The radar shown in the video is more modern than that which would have been supplied with C801. The Yemeni Navy operated the C801 to equip their three Chinese built Type-021 Hounan missile boats. The missiles were carried in armored box launchers which are different from the lightweight containers used for the folding-fin C802. Reports that Yemeni Type-021s were equipped with the older and larger YJ-1 based anti-ship missiles are in error. 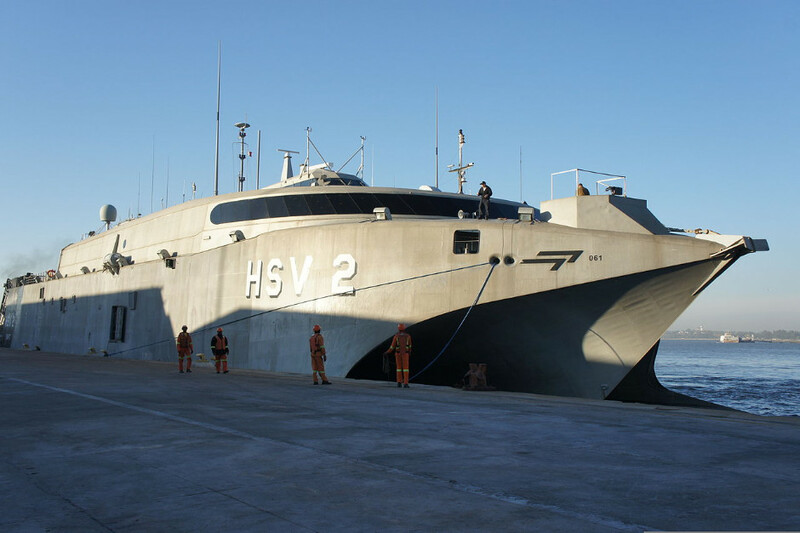 One Type-021 craft is still mobile, being based in Hodeida. It has not have had its missile containers since at least 2011. 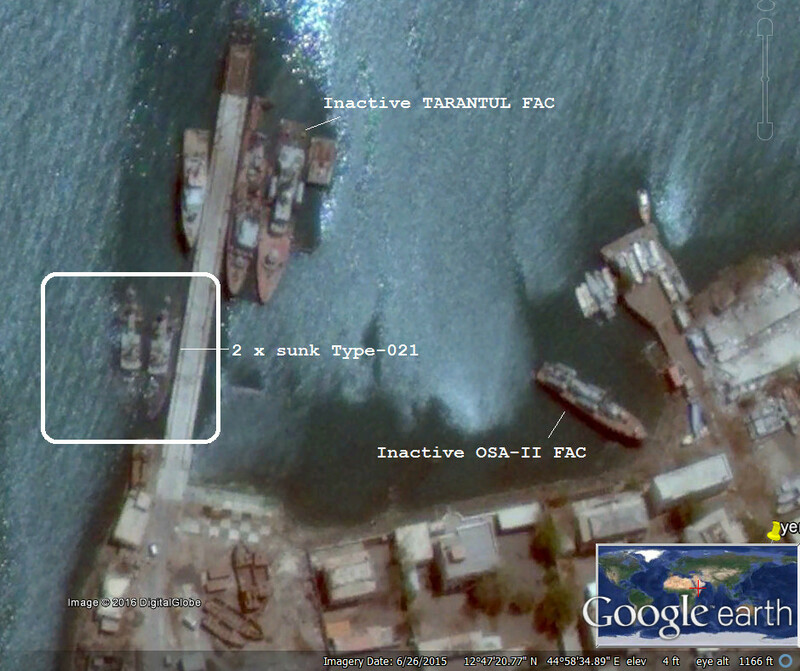 The other two Type-021s have been sinking at their moorings in Aden since spring 2015, and had been immobile since spring 2014. 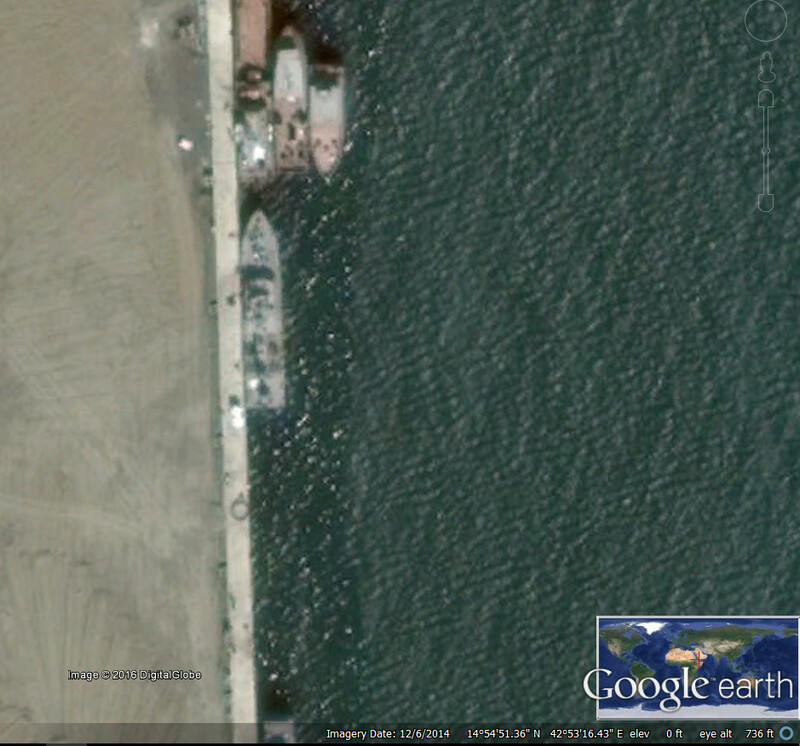 They are not visible in Google Earth imagery with missile containers fitted since 2004. 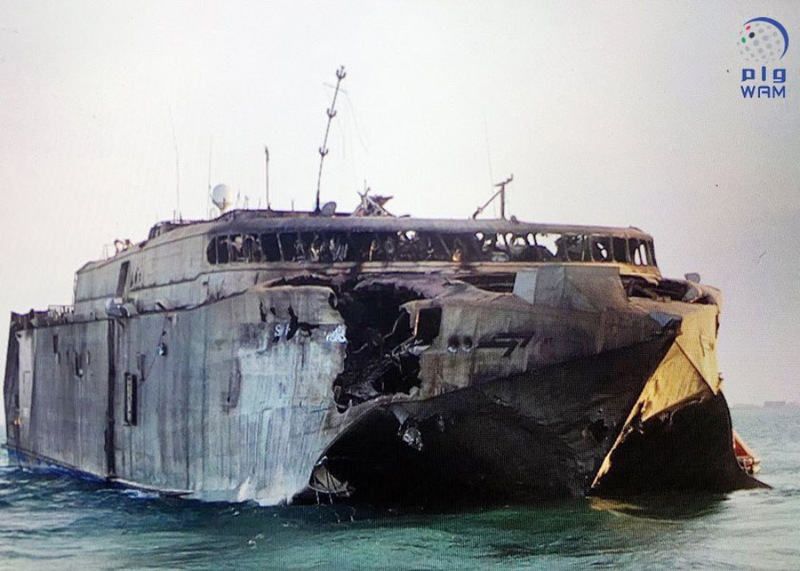 What we can be relatively sure of therefore, is that if it was a Yemeni Navy C801 then it wasn’t launched from a Type-021 missile boat. 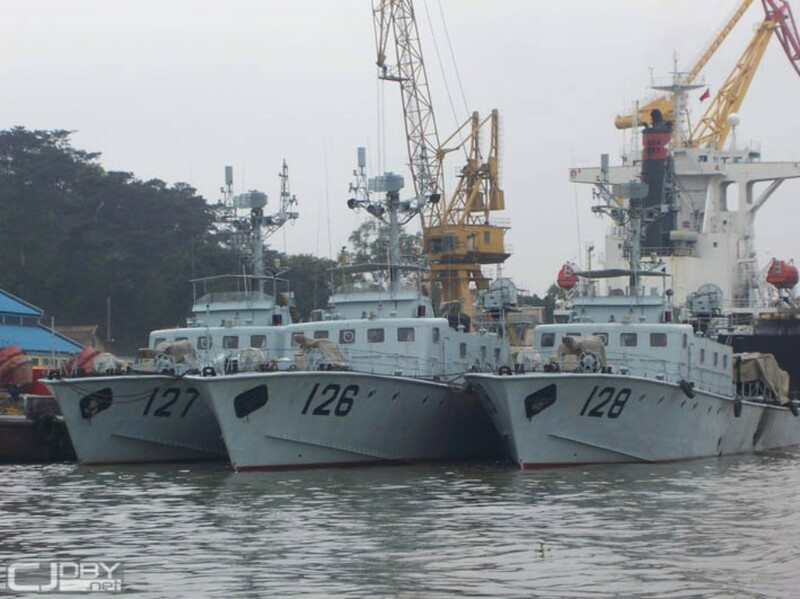 All three Type-021s have had their missile containers removed for several years. The status of the weapons, or even whether any remain, is unconfirmed. It is plausible that it could be adapted for shore use but the rounds would be too old to be reliale. 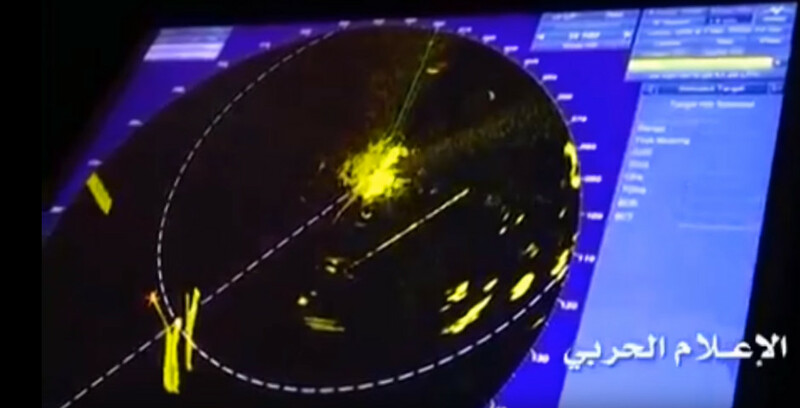 The radar screen shown in the Houthi video (above) is different from the one sometimes associated with the Iranian Noor system (below). It shows a 360 degree sweep while the Noor’s only covers the frontal arc of the launch platform. It is possible that the radar is not from the launch platform, or that they used a different radar than the one observed with Noor. Analysts will be able to identify the radar system and probably its location from the few seconds of footage in the video. If it is the C802, then the Houthi rebels must have received the missile from Iran or her proxies. 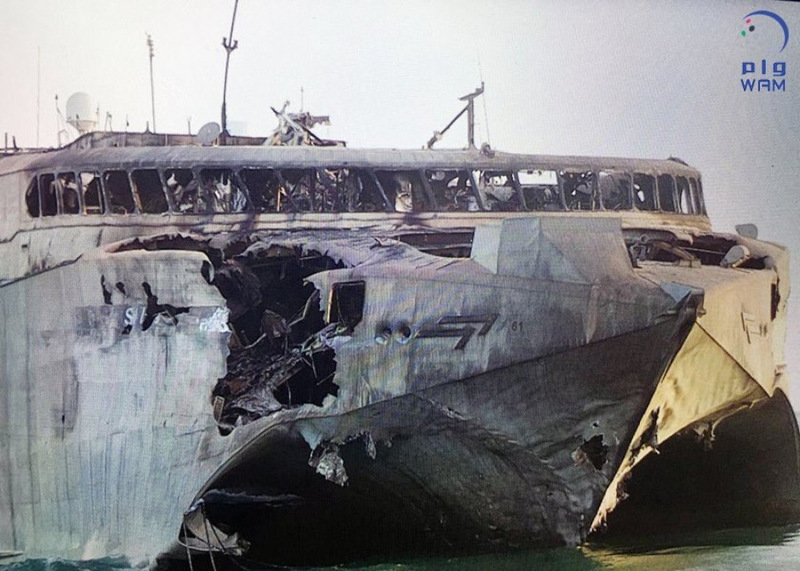 The swift was extensively damaged but has remained afloat, and with much of the cargo area and stern appearing minimally damaged. It is unclear whether she will be repaired. The Swift is reportedly being towed to Eritrea, where UAE has a naval presence in Assab.